Iconic 1960s children's TV series Thunderbirds is returning for a new run. 26 episodes will air in 2015, with the series already in pre-production. 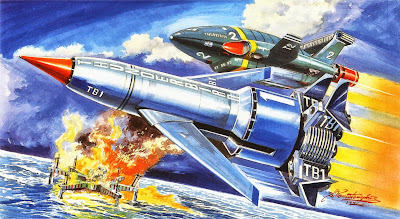 Gerry Anderson announced that the project was underway shortly before his death. Sadly, he passed away before it entered production. The new show will be called Thunderbirds Are Go! and is a co-production between ITV in the UK and Pukeko Pictures in New Zealand, with Weta Workshop (who have done the effects for the Lord of the Rings and Hobbit movies, amongst others) handling design work and some of the effects. Unlike the original show, which used puppets (and was a major influence on the movie Team America: World Police), the new series will use scale sets, some miniatures and CGI to depict the characters and some of the effects. Kayvan Novak (Four Lions, Facejacker) as Brains. Rosamund Pike (The World's End, Die Another Day) as Lady Penelope. David Graham (the original Thunderbirds) as Parker. Thomas Brodie-Sangster (Game of Thrones) as Gordon and John Tracy. Rasmus Hardiker (Saxondale, Cockneys vs. Zombies) as Alan and Scott Tracy. Sandra Dickinson (The Hitch-Hiker's Guide to the Galaxy) as Grandma Tracy. Angel Coulby (Merlin) as Kayo (a new character). Adjoa Andoh (Doctor Who, Casualty) as Colonel Casey (a new character). David Menkin as Virgil Tracy. Andres Williams as the Hood. And yes, that's the 88-year-old David Graham reprising his role as Parker, which he first played in the original Thunderbirds in 1965. Normally I start reviews with a mini-plot summary but I won't do that here, because trying to condense Caine's Law down to a paragraph without indulging in major spoilers or causing my brain to leak out of my nose is simply impossible. What Caine's Law is, however, is the fourth and to date final book in the Acts of Caine series. Future sequels are possible but this book provides enough closure that the series can end here if necessary. It's also the second half of the previous novel, Caine Black Knife, which ended on a series of cliffhangers which Caine's Law does - eventually - resolve. It does take its sweet time doing so, however because Stover's primary focus in the rest of the book is tapping on his readers brains until they turn into confused mush. 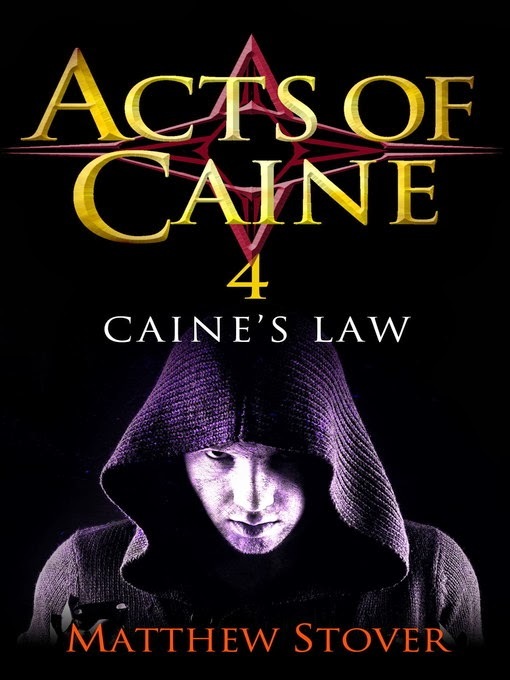 Caine's Law takes place before, during and after Caine Black Knife. It riffs on elements from Blade of Tyshalle, and events that took place between that book and the first novel, Heroes Die. It explains exactly how some rather implausible events in earlier books really unfolded. It has time travel and alternate timelines, and uses the term 'unhappen' a lot. Events in the deep back-history of Overworld are explained. Major characters reappear, despite some of them being very dead indeed. 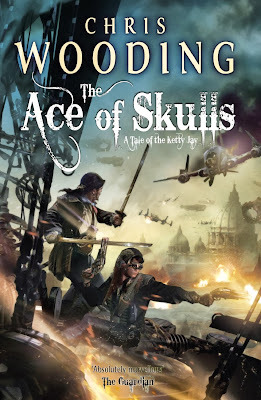 This is the sort of book where a very clear, action-adventure chapter (and few authors do action-adventure as well as Stover) can be followed by an interrogation sequence where both captors and captive spend most of their time debating the literary merit of To Kill a Mockingbird. Chapters featuring heavy magic use and explosive set pieces sit alongside explorations of a key thematic element involving horses and how they see the world. Caine being a smart-arse and swearing a lot is mixed up with discussions on the nature of reality, friendship and acceptance. Caine confronts the demons of his past and deals with them, sometimes maturely, sometimes by kicking them in the balls, and sometimes by making sure they never happened at all. If the Acts of Caine series wrong-foots the audience with each book being a shift in gear and almost genre, Caine's Law delights in wrong-footing them chapter by chapter. This is a novel that is severely confusing and ultimately you have to stop trying to understand it and instead read each section (the book is broken up into episodes) on its own merits. Eventually the book's mind-shredding narrative structure coalesces into something that does make sense. In the wrong hands this would be disastrous, but Stover ensures that even when you can't see how a particular episode fits into the overall structure of the novel and the series, it's still enjoyable on its own terms. As usual his actions scenes as visceral and vivid, his characterisation is nuanced and complex and his worldbuilding is sublime. The novel is also as 'grimdark' as anything in the genre but also has a very powerful commentary on issues such as gender relations and power imbalances without every getting preachy. Caine's Law (*****) feels like a collaboration between Richard Morgan and Christopher Priest, but with an attitude and energy that is 100% Stover. 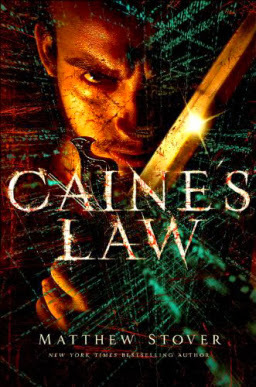 Intelligent, thought-provoking, action-packed and featuring a recursive narrative structure that borders on genius, Caine's Law is a totally different kind of fantasy novel, and confirms this series as the most criminally underread series in the genre. The novel is available now in the USA and as an ebook-only release in the UK. If you're in the UK you might want to set the recorder for two new major US SF shows that are hitting our shores fairly imminently. Orphan Black is a science fiction drama series that doesn't really appear to be SF when it starts, but more of an investigative drama. Very quickly the true stakes are revealed. 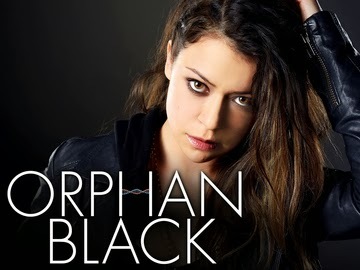 The show has already aired on BBC America in the States and the Space channel in Canada to rave reviews, particularly about the performance of lead actress Tatiana Maslany. Orphan Black debuts tonight with a double-bill of the first two episodes on BBC-3 at 9pm in the UK, so get the recorder ready quick! The show will also be available on BBC iPlayer, and indeed the first episode has already been put up as a preview. Den of Geek has a non-spoiler preview here, though it will probably leave most none the wiser. This is a show you really need not to get spoiled on ahead of time. Probably needing less of an introduction, Agents of SHIELD is the TV spin-off from the Marvel Cinematic Universe movies (most notably The Avengers). 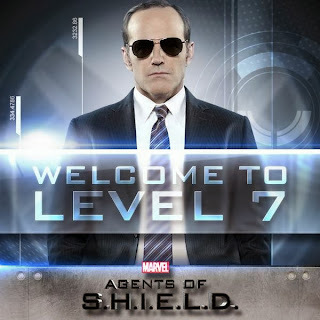 Clark Gregg reprises his role from The Avengers, Thor and Iron Man 1 and 2 as Agent Phil Coulson of SHIELD, as he assembles a new team of investigators to check out the problems caused by the emergence of super-heroes into an unprepared world. Don't expect any Iron Man or Captain America cameos (just yet, anyway) but other Marvel characters as-yet unused on the big screen may show up from time to time, along with original characters. Agents of SHIELD debuts on Friday 27 September at 8pm in the UK. The first episode will also be followed by the one-hour series finale for The IT Crowd. Jet City Comics, the new comic-publishing imprint of Amazon, have picked up the reprint rights to George R.R. Martin's Dunk and Egg graphic novellas. They will be reprinting The Hedge Knight on 5 November 2013 and The Sworn Sword on 21 January 2014. Random House will also be getting the gang back together to produce a new comic book adaptation of The Mystery Knight, for publication later in 2014. In addition, HarperCollins Voyager in the UK have announced they will be publishing a British edition of Dangerous Women in December. 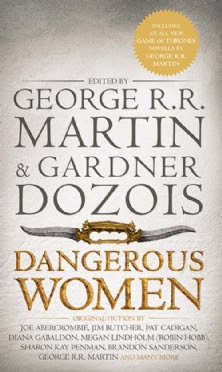 This book will contain a new Song of Ice and Fire novella, The Princess and the Queen, about the civil war known as the Dance of Dragons. Martin is still hoping to publish The World of Ice and Fire in Spring 2014, though officially its release date remains November 2014. No news on the Big One, unfortunately. The last word on the book from the start of the year was that it was about a quarter done and Martin had either completed or put aside all other projects (including the fourth Dunk and Egg story) to focus on it, later remarking he was making 'rapid progress' against the threat of HBO bearing down and catching up with him. Recent casting announcements for Season 4 of Game of Thrones seem to confirm that rather more of the Feast for Crows and Dance with Dragons storylines will be featured than first thought, meaning that they will likely reach Winds of Winter material by 2016, if not the end of the 2015 season. Gearbox held a fan community event today where they had a Homeworld-focused panel (starting at 39 minutes) featuring representatives from both Gearbox and Blackbird Interactive, who are developing Homeworld: Shipbreakers and whose members developed the first two games in the series. It was confirmed that Shipbreakers will be a prequel taking place on Kharak, the planet the Hiigarans were exiled to several millennia before the events of the games. They also confirmed that the Free-to-Play model for the game has been abandoned and there will be a full commercial release on Steam. They are also looking at ways of releasing the game physically, potentially in a limited edition box set with a model of a Homeworld spacecraft included (this was first mooted jokingly, but the positive reception in the audience have led them to reconsider it). They have also successfully located all of the source files for the original two games, including audio and music, and are currently working on upgrading them for the HD versions. They have also confirmed that the original composer for the first two games (and the Cataclysm spin-off game) will be working on the HD remakes. A number of other issues are being looked as, such as bug fixes and how to handle the thorny issue of resource gathering. In the Homeworld games collected resources are carried over from one mission to another. The original Homeworld allowed you to choose when to exit a mission once all resources have been collected, but this can take some considerable time. The benefit of this is that it allowed you to build new units and research new tech at the end of each mission before starting the next one. Homeworld 2 automatically had you collecting all resources on each map at the end of each mission, which was much faster but denied you the ability to reconfigure your fleet before the next mission. Homeworld: Cataclysm (which is not being updated due to the loss of the original source files) used the Homeworld model but included a 'speed up time' button, which seemed an excellent compromise. Gearbox are asking for feedback on this issue on their forum. Blackbird have also confirmed that their 'Prospector's Guide' pre-purchase scheme for Shipbreakers that they launched before the team-up with Gearbox happened has been shut down. They are refunding the early adopters in full and will still give them a free copy of the final game in thanks for their support. The re-releases of Homeworld and Homeworld 2 are anticipated for 2014. 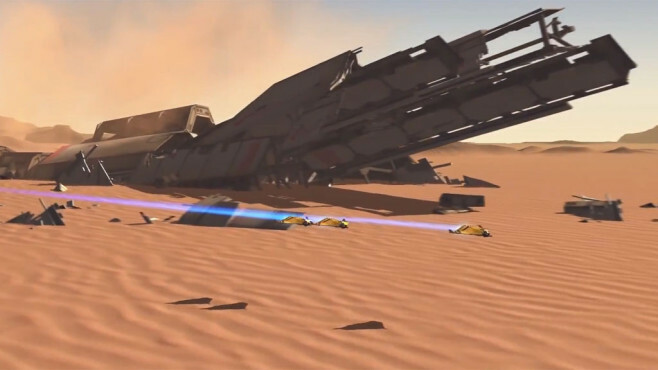 Homeworld: Shipbreakers does not have a release date as yet. Frontier Developments have unveiled a new trailer for Elite: Dangerous, the fourth game in the series. Made with money from Kickstarter, the game will be released in 2014, which is also the thirtieth anniversary of the release of the original Elite. They've come a surprising way quite quickly and this is starting to look very promising indeed. The first novel in the New Adventure range. 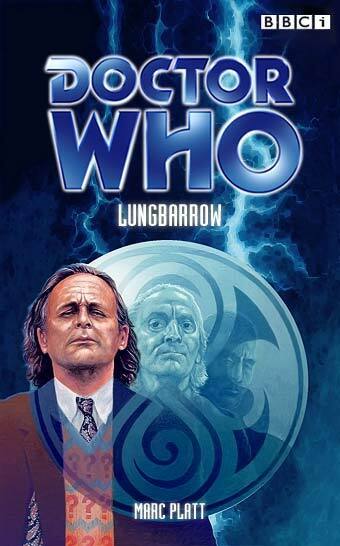 This book was controversial on release for featuring more adult language and content (including sexual scenes) than was normally associated with Doctor Who. Doctor Who and the medium of books have had a long history together. From 1973 onwards Target Books had published novelisations of almost all of the original Doctor Who serials, in many cases written by either the original writer or former script editor Terrance Dicks (who ended up writing almost half the range by himself). In an age without video or repeats, these novels helped budding Doctor Who fans catch up on earlier stories and become acquainted with the show's lengthy mythology. However, the BBC had always been reluctant to allow the writers to pen original fiction. The closest they came was when they permitted the Target authors to adapt unproduced scripts from the TV show (most notably, the four stories from the 'original' Season 23 before it was transformed into The Trial of a Time Lord). In 1990, with the show off-air and with no return date set, the editor of the range, Peter Darvill-Evans, pursued the rights to write original fiction once again to fill in the gap and this time the answer was yes. Doctor Who: The New Adventures launched in 1991 with a four-book series referred to as the Timewyrm arc. In this sequence, the Doctor does battle with a cybernetic villain known as Qataka. During their first battle, in ancient Mesopotamia (where the Doctor allies himself with the hero Gilgamesh), Qataka is absorbed into the TARDIS and starts taking it over. The Doctor flushes her (and the TARDIS secondary control room) into the Time Vortex, but this merely gives Qataka the power to travel through time and space. The 'Timewyrm', as she is now called, causes chaos on 20th Century Earth when she changes history so that the Nazis won WWII. Eventually, in Timewyrm: Revelation, the Doctor confronts and defeats the Timewyrm in a desperate, surreal battle within his own mind. This battle features elements such as an ordinary English building (in this case, a church) transported onto the surface of the Moon and a child in an astronaut's suit, elements that would recur in the post-2005 TV series. The writer of this particular novel was a newcomer named Paul Cornell. Cornell would become arguably the most popular author of the range for his unusual take on the character and was one of several writers to cross over to working on the new TV series. 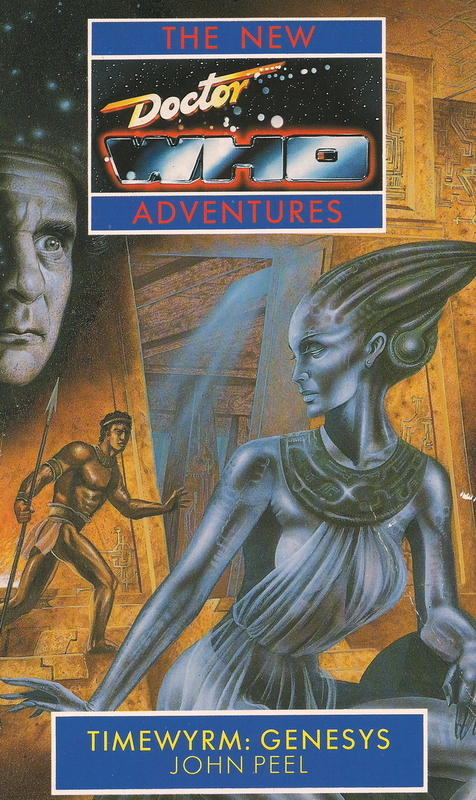 The New Adventures series eventually incorporated sixty-one novels published over six years. Initially the series was split into story arcs. After the Timewyrm quartet was the Cat's Cradle trilogy, in which the TARDIS is destroyed but later restored by the Doctor, although suffering from extensive damage. The notion of what would happen if the TARDIS was destroyed was revisited several times in the later TV series. This trilogy also featured books written by former script-editor Andrew Cartmel and Marc Platt, who wrote the TV serial Ghost Light. Cartmel and editor Darvill-Evans agreed to continue the 'Cartmel Masterplan' from the last two seasons of the TV show and explain the Doctor's origins. This would be done slowly over the lifespan of the range. After the Cat's Cradle series was a stand-alone novel, Nightshade, written by a new writer (and committed Doctor Who fan) named Mark Gatiss. Gatiss would both write and guest-star in the new series after it returned in 2005. Following this book was the Future History Cycle, featuring a series of novels set over the next thousand years or so of history. 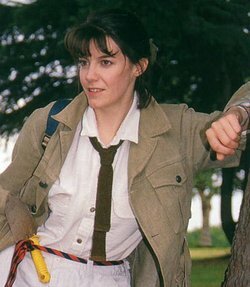 Amongst the most notable of this series was Love and War by Paul Cornell, in which Ace leaves and the Seventh Doctor recruits a new companion, archaeologist Bernice 'Benny' Summerfield. Another important novel is The Highest Science, written by Gareth Roberts who would also go on to work on the new TV series. This book also introduces the Chelonians, a new alien race of cybernetic tortoises (!) who would be mentioned in the new TV series. Ace would return in Deceit and she and Bernice would both accompany the Doctor for many novels. Birthright and Iceberg would create a format that the new TV series would go on to employ, with the novels occurring simultaneously with one focusing on the Doctor and the other on what his companions were doing at the same time. Iceberg would also be notable in featuring the Cybermen in the first major appearance by a TV enemy race in the books (re-using the major TV races required the publishers to pay a licensing fee to the original creators, hence was mostly avoided to keep costs down). The next novel, Blood Heat, would feature the return of the Silurians and would be set in an alternate timeline where the Doctor and UNIT would be defeated during the events of The Silurians. The Ice Warriors would return in Legacy and Ace would leave - again and permanently as a regular character this time - in Set Piece. The novel Blood Harvest, written by Terrance Dicks, would see the Doctor's former Time Lady companion Romana rescued from E-space and returned to Gallifrey, where she would eventually become President of the High Council of Time Lords (something later declared canon by the producers of the new TV series; Romana was President when the Time War began, though not by its conclusion). The thirty-eighth novel in the series was Human Nature, written by Paul Cornell. In this novel the Doctor becomes human and goes undercover at a boys' school in pre-WWI England. The novel would later be voted the best in the New Adventures range. In 2007 Cornell adapted the novel for television, becoming the episodes Human Nature and Family of Blood. This marked the first time a pre-existing Doctor Who story would be used as the basis for a new TV story and also increased the confusion over the issue of canon: did the re-use of the same story in a new medium mean that the 'book' version of the story never happened? The thorny issue of canon would re-emerge several times further down the road (see below). In 1996 a New Adventure entitled Damaged Goods was published. Set on a contemporary London council estate, the book had a familiar name behind it: Russell T. Davies. Davies was becoming a famous TV writer in his own right for his TV series The Grand (not to mention his well-received children's drama Dark Season, which featured Kate Winslet in an early role), and three years down the road would pen the highly successful Queer as Folk. Davies was a huge Doctor Who fan, something he would work into his Queer as Folk scripts. Around the same time, a collection of Doctor Who short stories was published called Decalog 3: Consequences. One of the short stories in the collection was 'Continuity Errors', written by a certain Steven Moffat. The Doctor Who: The New Adventures line came to an end in 1997 when the licence was revoked by the BBC, who wanted to publish Doctor Who fiction themselves in the wake of the success of the 1996 TV movie. The New Adventures now had to be ended in a way that would dovetail into the TV movie (which, despite some fan grumblings, the BBC regarded as canon). Marc Platt was called upon to conclude the 'Cartmel Masterplan' with the novel Lungbarrow. This novel finally gave an explanation for the origins of the Doctor and Time Lord society. It met with a somewhat mixed reception from fans (and its canonical status is disputed). The succeeding novel, The Dying Days, was set after the TV movie and thus is the only New Adventure to feature the Eighth Doctor. The Dying Days also marks the separation of the Doctor and Bernice Summerfield; Bernice had become so popular that she continued to star in a line of solo novels (simply entitled The New Adventures with no mention of Doctor Who on the covers, and only oblique references in the text) which eventually stretched to twenty-three volumes. The Doctor Who: New Adventures lines was succeeded by the Eighth Doctor Adventures, published by the BBC themselves. Originally the BBC were not concerned about maintaining continuity with the New Adventures, but given that many of the same writers crossed over between the ranges, elements established in the New Adventures continued to be treated as canonical for the later books. Human Nature is widely-regarded as the finest novel in the range and the only one to later be adapted for television. Shared writers. Mark Gatiss, Gareth Roberts, Paul Cornell, Russell T. Davies and Steven Moffatt would all write New Adventures novels or short stories in the related Decalog range before writing for the revived TV series. Most significantly, Russell T. Davies and Steven Moffatt would serve as showrunners on the revived series. Adaptations. The novel Human Nature would be adapted as the TV episodes Human Nature and The Family of Blood. The Highest Science was also likewise going to be adapted, but significant changes in writing saw it become Planet of the Dead with very few elements retained. References. The alien Chelonians, introduced in The Highest Science, would be namechecked in The Pandorica Opens. Romana escaping from E-space and becoming President of the High Council of Time Lords would also be canonised in Russell T. Davies's account of the Time War, Meet the Doctor, in the 2006 Doctor Who annual. Recurring thematic elements. In Timewyrm: Revelation an English church is transported onto the surface of the Moon; in the episode Smith and Jones, an English hospital suffers the same fate. The same novel also features a child in an astronaut's spacesuit 'killing' the Doctor, an element that recurs in the episodes The Impossible Astronaut and The Wedding of River Song. The novel Cat's Cradle: Time's Crucible features the destruction of the TARDIS, this being reversed and immense problems from this event reverberating for some time. The same concept forms much of the underlying arc of the fifth season (thirty-first overall) of the revived series, culminating in The Big Bang. Direct character appearances. Professor Arthur Candy of Luna University, an expert on the Doctor, first appears in Moffat's story 'Continuity Errors' before returning in the (non-Doctor) New Adventure novel Oh No It Isn't! by Paul Cornell. He appears on-screen in the episode Let's Kill Hitler, meeting River Song. These connections have led some fans and websites - most notably the TARDIS Data Core Wiki - to treat the New Adventures as fully canon to the TV series. However, their canonical status is disputed by both other elements and also the show's own continuity policies, which are somewhat vague. The canonical fate of the Doctor's final companion from the original series, Ace, remains unclear. The New Adventures, like most Doctor Who spin-offs, are of debatable (and believe me, people have debated it at exceptional length) canonicity. Unlike other franchises like Star Trek, where the spin-off media have always been ruled non-canon, or Star Wars, where it has always ruled as canon (so far, anyway), no official position has ever been adopted by the BBC with regards to Doctor Who's canon. With the original creators and producers having passed away, and with the show having a revolving door of writers and showrunners, it is unclear if there is any one person actually in a position to say whether something is canon or not. This issue has been exasperated by the Time War, which occurred between the 1996 TV movie and the 2005 revival, and has been said to have overwritten and changed history, so things that were once canon may no longer be so. Paul Cornell has used the example of the differing accounts of the fate of the Sun in the First Doctor story The Ark and the Ninth Doctor story The End of the World being down to the Time War. This issue also seems to be confused by the fact that some of the New Adventures seem to have been de-canonised - the TV serial Human Nature/Family of Blood would seem to have rendered the novel Human Nature non-canon - whilst other elements originating in the spin-off stories, like Professor Candy and the Chelonians, have appeared in the new TV series. A further complexity is the ultimate fate of Ace, the Seventh Doctor's final on-screen companion. In the novels Ace leaves the Doctor, returns to him after three years in deep space fighting Daleks and ultimately returns to Earth with a short-range time machine strapped to a motorbike, fighting threats to Earth. The comics, which have generally been regarded as less canonical than the novels, contradicted this by killing Ace off in a huge explosion. The Sarah Jane Adventures TV episode Death of the Doctor hints that Ace, under her real name of Dorothy, is running a charity on present-day Earth called 'A Charitable Earth' (A.C.E. ), which may be compatible with the former outcome but not the latter. According to Russell T. Davies, he was going to explain this in a future episode of the spin-off series, but Elisabeth Sladen's death and the cancellation of the series made this impossible. Different fans have developed different approaches as a result. Some hold the TV show and TV show alone as only being canon. The TV show can use the novels as inspiration at times, but the novels themselves are not explicitly canon until events from them are said to be so on TV. Other fans take the opposing view, ruling that both the novels and other media (such as the comic strips) are canon until the TV show contradicts them, thus ruling them non-canon. Other fans state that all Doctor Who stories are 'canon' regardless of origin or continuity errors, and instead may take place in alternate dimensions or realities to the core continuity of the TV series. Others suggest just enjoying the show and not worrying about this stuff too much. Lungbarrow is controversial for the amount of the Doctor's backstory that it revealed. Some felt that it destroyed too much of the Doctor's mystery, whilst others found it unsatisfying. It is unlikely that the backstory in Lungbarrow will be acknowledged in the new series. When he became script-editor of Doctor Who in 1987, Andrew Cartmel decided to work in a long-running storyline which would gradually darken and complicate the Doctor's character before culminating in the revelation of his backstory and origins. Several writers hired by Cartmel, most notably Marc Platt and Ben Aaronovitch, helped work on this plan, although producer/showrunner John Nathan-Turner seems to have been more dubious. Nathan-Turner vetoed a Platt script for Season 26 which would have been set in the Doctor's ancestral home on Gallifrey as exposing too much of the mystery of the Doctor. 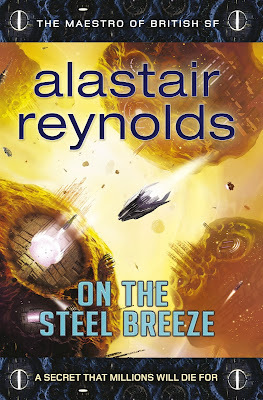 With the New Adventures novel range unfolding, range editors Peter Darvill-Evans and, later, Rebecca Levene, agreed to continue the storyline in the novels. Time's Crucible revealed that the Gallifreyans had suffered calamitous conflict between a religious sect led by a prophetess, the Pythia, and a sect devoted to science and reason, led by Rassilon (this sect eventually became the first Time Lords). During this conflict the Pythia cursed the Time Lords with the inability to reproduce naturally, forcing Rassilon to develop regeneration as a way of circumventing the curse. In Lungbarrow it is revealed that the Time Lords used 'cosmic looms' to genetically create new Gallifreyans in the absence of biological reproduction. In an odd twist, the Doctor is revealed to have been the reincarnation of the 'Other', one of the Time Lord triumvirate (along with Rassilon and Omega) who created time travel technology. The nature of the Other was unknown (hence his name) but his influence on the Doctor led to the Doctor stealing a TARDIS and rescuing the Other's granddaughter, who later took the human name Susan, from the dawn of Gallifrey's past before going on the run. This explanation was somewhat unsatisfactory, as it simply transferred the mystery of, "Who is the Doctor?" to "Who was the Other? ", and seemed unnecessarily convoluted. The post-2005 TV series has noticeably ignored it, such as mentioning the Doctor's childhood and explicitly showing the Master as a child in the Sound of Drums story arc. The new series has also said that the Doctor has had children, apparently throwing the whole 'Pythia's curse' storyline out the window. However, some fans have worked on ways of reconciling these contradictions (and again suggesting that the Time War may be responsible). Actress Lisa Bowerman has played Bernice Summerfield in audio dramas since the late 1990s. 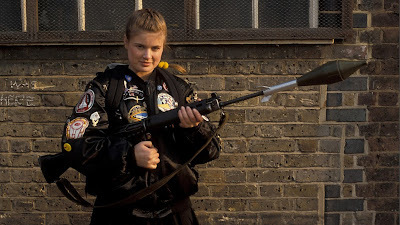 Bernice is one of the most popular and successful Doctor Who companions despite never appearing on the TV series, although Bowerman had a role in the final serial of the classic series, Survival, in 1989. Ronald D. Moore's time-travelling adventure/romance series Outlander, based on Diana Gabaldon's novels, has found its leading actress. Caitriona Balfe has previously appeared in the J.J. Abrams movie Super 8 and Bryan Singer's digital series H+. Her next screen role will be the Stallone/Schwarznegger vehicle Escape Plan. 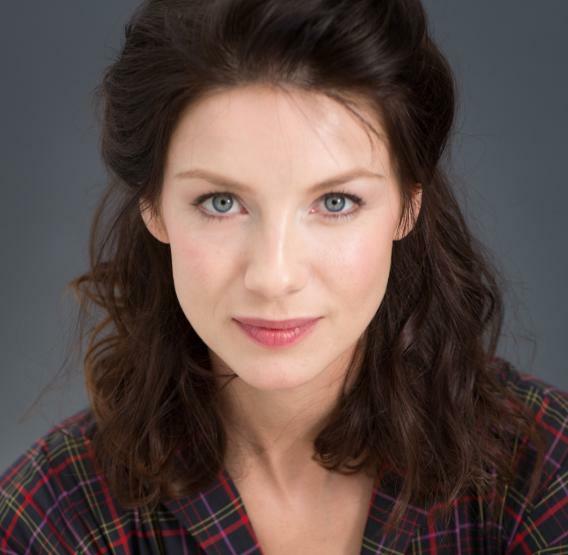 Balfe, who will play nurse Claire Randall, joins Sam Heughan, who will play her on-screen lover Jamie Fraser, and Tobias Menzies (from Game of Thrones and Rome) as her on-screen husband Frank Randall. The series begins shooting later this month on location in Scotland (where the story is set) and will air on Starz in 2014. Sylvester McCoy (1943- ) played the Seventh Doctor in 42 episodes and 12 serials over three seasons, as well as reprising his role in the opening of the 1996 TV movie. He had two companions. Though he appeared in more episodes and serials than Colin Baker, he had slightly less screen-time (amounting to about an hour) as thirteen of Baker's episodes were double-length. Doctor Who's twenty-fourth season began production under a cloud. Producer John Nathan-Turner (now in his eighth season in charge) had been refused permission to leave and was now essentially making the show against his will. 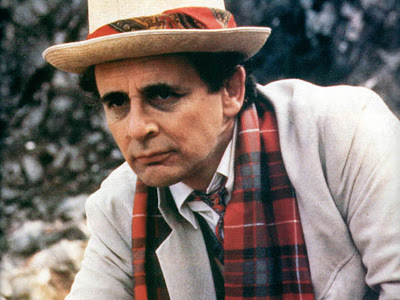 He'd also been left with almost no time to prepare the season and wound up recruiting an actor best-known for his comedy skills, Sylvester McCoy (who was, amongst other things, known for putting live ferrets down his trousers), as the Doctor. He also recruited a new script editor, Andrew Cartmel, who was talented but inexperienced. The twenty-fourth season was weak, uninspiring and tiresome. It was also - some say deliberately - aired directly against Coronation Street, the most popular evening soap opera (and TV show overall) on British television, which destroyed the show's ratings. Despite these problems, there were signs of hope. Sylvester McCoy proved unexpectedly good in the role. Like Jon Pertwee before him, he saw the show as way of exercising his dramatic skills and forging a new career path (one which would, twenty-five years later, see him cast in Peter Jackson's Hobbit movies as Radagast the Brown). However, for his first season there was more of a comedic air to his character. Fans were also unhappy with the casting of former child actress Bonnie Langford, best-known as a dancer and for her work in musicals, as companion Mel, which also apparently led to more comedic elements at the expense of drama. This combination of factors made the twenty-fourth series seem rather silly and trite. For the twenty-fifth season, which was also an important anniversary year, it was decided to dramatically retool the writing team. Younger and more dynamic writers like Ben Aaronovitch (who now writes the excellent Peter Grant series of fantastical detective novels) and Marc Platt were recruited and Andrew Cartmel unveiled his 'masterplan'. He wanted to delve into the very psyche and character of the Doctor as part of a plan to reveal the Doctor's true backstory and origins, which would be more complex than previously hinted. He also wanted to develop a far more complex relationship between the Doctor and his new companion Ace, played by Sophie Aldred. 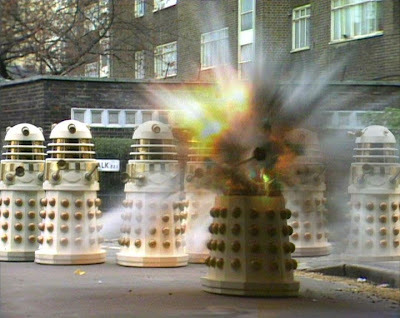 Remembrance of the Daleks is one of the most action-packed stories in the history of the programme, featuring impressive Dalek-on-Dalek battles on the streets of 1963 London. The fruits of this can be seen in the widely-acclaimed Remembrance of the Daleks, in which the Doctor manipulates events from behind the scenes to bring about the destruction of the Dalek homeworld, Skaro. It was a tremendously effective story, though also a very expensive one (the remainder of the season ended up looking cheaper than normal due to it). The remainder of the season was unremarkable, though Silver Nemesis (featuring an awful reappearance by the Cybermen) did hint at the Doctor's mysterious origins. The twenty-sixth season was better still. The opening serial, Battlefield, was a bit of a throwaway romp though the return in force of UNIT and the Brigadier - who gets to save the world by destroying an evil demonic entity - was widely welcomed. Cartmel's plans to set the next serial on Gallifrey in the Doctor's family home was deemed a bit too much by Nathan-Turner, who wanted to preserve some more mystery about the Doctor, so it was shifted to a more generic 'haunted' house. Along with the following serial, The Curse of Fenric, these two serials featured the Doctor blatantly manipulating Ace for reasons that remain rather unclear on-screen. The final serial of the twenty-sixth season, Survival, saw the return of the Master and was noted as a 'grittier' and more suburban take on the series, with much of the action taking place on a poor council estate in the London suburbs where racial tensions are running high. This hinted at a more realistic take on modern Britain which the show had previously shied away from (and would continue to be explored - in perhaps a less confrontational fashion - in the new series). Towards the end of production on the season the team began making plans for the following, which would be McCoy's last. According to some reports, the team planned to reveal that the Doctor's manipulations of Ace had been tests to see if she was suitable to be trained as a Time Lord (confirming long-standing fan speculation that Time Lords could be recruited from other species, not just Gallifreyan). A new companion, a cat burglar, would be introduced and the Ice Warriors would return after a sixteen-year absence. The Doctor would regenerate in the final episode of the season. However, word came down that the BBC wanted to delay the twenty-seventh season longer than normal. In particular, the BBC were unhappy with their limited budget for the show (very visible compared to the glossy Star Trek: The Next Generation which had just launched in the USA) and wanted to find an independent production company to co-finance the series. With no firm plans in place for a twenty-seventh season, the production team was broken up, though fortunately they had enough warning to record a new voiceover for the end of Survival which would provide the series with a more fitting ending if the hiatus went on for a long time. The production office was shut down in 1991, twenty-eight years after it opened, and the BBC would continually rebuff any enquiries into the future of the programme by saying it was pursuing the independent production angle. In 1993 the BBC aired a one-off, non-canonical special called Dimensions in Time for the thirtieth anniversary which reunited numerous Doctors, companions, monsters and villains on the set of EastEnders. It was panned, but nevertheless the public gave a warm reception to the various special programmes aired to celebrate the anniversary. Very healthy VHS sales and the continued popularity of Doctor Who Magazine showed that there was still an appetite for the show. The only question was when and how it would return. The Seventh Doctor regenerated in the 1996 TV movie after being machine-gunned down by a gang in San Francisco. The War of the Ring is in full swing. The armies of Rohan have defeated those of the renegade wizard Saruman at Helm's Deep, but now Sauron's main armies have been unleashed against the great kingdom of Gondor. Denethor, Steward of Gondor, has been driven to distraction by grief so it falls to Gandalf to arrange the defence of the kingdom and its capital city, Minas Tirith. Meanwhile, Frodo and Sam have been guided into Mordor by Gollum and face the final leg of their journey to Mount Doom. But first they must brave the pass of Cirith Ungol, and an ancient terror that dwells in the mountain caves. The Return of the King concludes the Lord of the Rings film trilogy. On release it was one of the most-lauded movies of all time, receiving eleven Oscars which tied it with Ben-Hur and Titanic for the record, and becoming the second-highest grossing movie in history. However, critical reappraisals of the film over the past decade have been more mixed. On the positive side, much of the craftsmanship, attention to detail and acting skills of the first two movies have carried over into this one. The actors all do good work (even if Viggo Mortensen as 'King' Aragorn is distinctly less convincing than his depiction of Strider the Ranger) and are bolstered by the addition of John 'Walter Bishop from Fringe' Noble as Denethor. Denethor isn't very well-written, but Noble gives his heart and soul in the role and manages to sell it, inconsistencies, unconvincing-flaming-death-plunges, warts and all. The effects are impressive, with the miniature work on Minas Tirith and its combination with CGI and physical sets being breathtaking. The CGI for Gollum has been upgraded as well, improving upon the already near-flawless work on the second film. There's some genuine power to iconic scenes from the book as they are realised in the film: the Ride of the Rohirrim is amazing, the battle with Shelob (which could have looked very silly) is extremely well-done, the lighting of the beacons is inspiring and Sean Astin's work as Sam on the slopes of Mount Doom is highly impressive. The decision to cast Andy Serkis as the pre-Ring Gollum is also inspired, and the resulting prequel sequence for the movie is tremendously effective. But, for all of its high points, the film suffers in several areas. The most notable is pacing. The three-and-a-half hour cinematic cut is simply too long, with too many climaxes. The novel averts this problem by inserting the thematically vital Scouring of the Shire sequence into the midst of the ending, giving the Hobbits a crisis they need to overcome by themselves before matters are fully resolved. The absence of the Scouring, though understandable for time and budgetary reasons, weakens the ending of the story on screen and makes the final sequence of goodbyes and farewells somewhat interminable. Something that should have definitely been cut is the 'dying Arwen' storyline, which is utterly nonsensical, doesn't make any sense and leeches the life out of the film whenever it appears. Whilst it was nice of the film-makers to try to involve Arwen more in the storyline, it is so badly-handled they really shouldn't have bothered. This also leads to the bizarre scene in which Elrond teleports to Rohan (making something of a mockery of the extremely tough journey everyone has endured, if he can just replicate it in a few days with ease) and gives Aragorn his sword, which he could have just done before they left Rivendell as in the book. These problems can be boiled down to the producers not trusting Tolkien and the book and instead inserting lots more fake drama and jeopardy into the storyline in an unnecessary attempt to spice things up when things are tense enough and the stakes high enough already. Another problem is an overreliance on CGI and effects. The Return of the King features a startling three times as many effects shots as The Fellowship of the Ring and this leads to, at times, the film starting to slide into the Star Wars prequel trilogy problem of things looking too fake and unconvincing. The Battle of the Pelennor Fields is visually impressive and it would be difficult to do it without CGI, but there's too many shots where it's obvious the actors are waving swords in front of greenscreens. This fakery lets down the battle a little, and renders it less impressive overall than the much more tightly-orchestrated Battle of Helm's Deep from the previous film. There's also the decision to use the Army of the Dead to save the day at the Pelennor Fields, which is a cheap and easy way of resolving the situation but also a nonsensical one: in the book the Army can be used once and once only, and vanishes after Aragorn uses it to seize the fleet at Pelargir. In the film it can be used until Aragorn says so, and it's hard to argue with Gimli's suggestion they carry on using it until Sauron is defeated (what's a few more days to an army that's been cursed for a thousand years?). The dumbing-down from the book in an apparent attempt to avoid having to cast Prince Imrahil and use Gondor's actual army is bizarre, as that would not have been particularly time-consuming anyway. Ultimately, The Lord of the Rings: The Return of the King (***½) does not have so many problems that those who loved the first two films will hate this one and some of those problems (the increased use of portentous and pretentious dialogue, for example) are taken straight from the book. But The Return of the King remains the weakest link in the trilogy, where self-indulgence - particularly with regards to length, spectacle and effects - are allowed on a few too many occasions to override the storytelling and characters. It is available now in the UK (DVD, Blu-Ray), and USA (DVD, Blu-Ray). 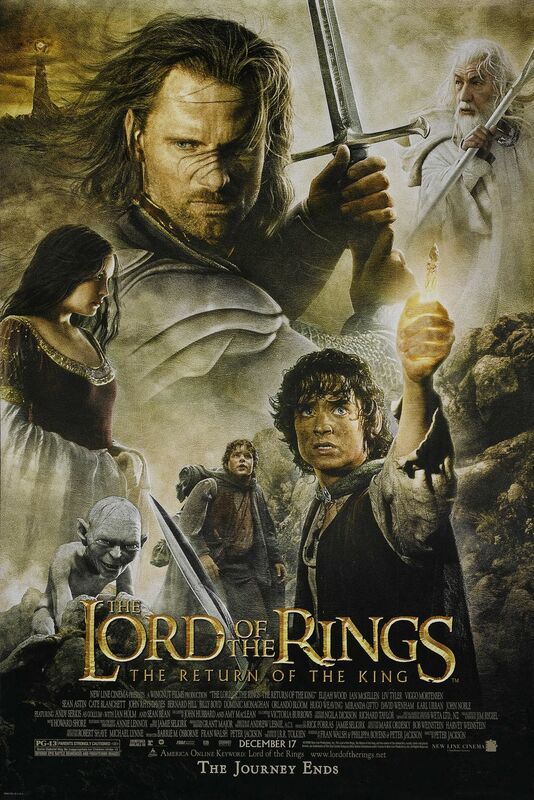 Note on the Extended Edition: As with its predecessors, The Return of the King was re-released a year after its original release with new material added. In this case there is about 45 minutes of new scenes. Some of these scenes are actually very good, with the final confrontation with Saruman being something that should never have been cut out in the first place. However, too many scenes go over information we already know, add little to the narrative and in a few cases are excruciatingly awful. The scene where Aragorn seizes the pirate ships is badly-acted, badly-written and appallingly self-indulgent (the crew of the pirate ship is made up of behind-the-scenes crewmembers). Even Jackson on the commentary admits it isn't every good, which makes it a bit odd that they put it back. The less also said about the 'billion skull rockslide', the better. The biggest problem is that, Saruman scene aside, the Extended Edition does not add anything essential to the film and drags its already overlong run time to well over the four hour mark. Accordingly, the Extended Edition (***) is in this case not the definitive version and should only be watched if you are a completionist. It is also available now in the UK (DVD, Blu-Ray) and USA (DVD, Blu-Ray). Colin Baker (1943- ) played the Sixth Doctor in 31 episodes and eight serials, airing over two seasons and part of a third. He had two companions. He had the shortest tenure of any of the 'classic' Doctors in terms of episode count and is the only actor to play the role to be dismissed against his will. However, he later reprised the role on stage. His brief tenure introduced the Rani, a female Time Lord villain, and the concept of the Valeyard, a 'dark' future incarnation of the Doctor that has been referenced in the current series. When the time came to cast the Sixth Doctor, producer John Nathan-Turner decided on a different approach. The idea was that the new Doctor would be highly erratic after his regeneration and for some time after, but over time would mellow and evolve into a more complex character. 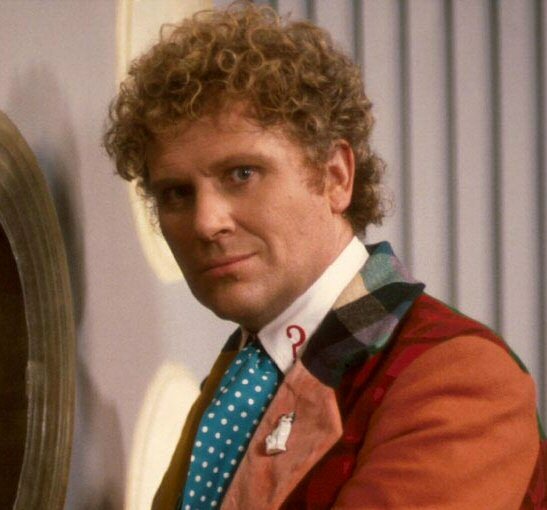 To play the role Nathan-Turner decided to cast Colin Baker, an actor who could play both 'cuddly' and 'threatening'. However, the decision was controversial with fans as Baker had already appeared in the show, playing a Gallifreyan security commander in Arc of Infinity. In particular, script editor Eric Saward wasn't keen on the choice. It would be fair to say that Baker was not an immediate hit with the viewers. His first story, The Twin Dilemma, was the final serial of the twenty-first season. If The Caves of Androzani is widely-regarded as one of the very best Doctor Who stories of all time, The Twin Dilemma is regarded as one of its absolute nadirs. A combination of a terrible script and the Sixth Doctor trying to strangle his companion Peri to death in post-regenerative confusion left audiences unimpressed with the new Doctor, and the lengthy wait for the new season meant that fans had a lot of time to complain about the situation. The twenty-second season had a format shift as well. The BBC had been impressed with the performance of Resurrection of the Daleks, which for scheduling reasons had been turned from an ordinary four-parter into two 45-minute episodes. For the new season they ordered that the series switch to this format permanently. So, whilst the season was 'only' 13 episodes long, it was the equivalent of 26 ordinary episodes, which had been the norm (more or less) since 1970. This was notable as The Two Doctors, which was three double-length episodes long, would otherwise have been the show's only six-parter of the final ten seasons. The slug-like Sil is one of the most memorable creations of the Sixth Doctor's era. The season had a mixed reception. Attack of the Cybermen, another Cyber-epic in the vein of Earthshock, was disappointing. Timelash was terrible. Vengeance on Varos introduced a memorable villain, Sil (played by disabled actor Nabil Shaban), but was otherwise unremarkable. The Two Doctors stood out for bringing back Patrick Troughton as the Second Doctor and Frazer Hines as Jamie McCrimmon and pitching them and the Sixth Doctor and Peri against the Sontarans, but it still wasn't great. Amidst critical apathy, a budget crisis in the wake of the expensive launch of the soap opera EastEnders, and the apparent disgust of BBC-1 controller Michael Grade, Doctor Who's twenty-third season was delayed by six months and was reduced in duration to just fourteen 25-minute episodes. Fans feared that Doctor Who was being geared up for cancellation primarily due to Grade's widely-reported hatred of the show (although viewing figures had remained at a respectable 7-8 million during the twenty-second season) and launched a campaign to 'save' the series. This resulted in one of Doctor Who fandom's lowest ebbs, the execrable Doctor Who 'charity single' 'Doctor in Distress'. Do not even think of YouTubing it. The series returned in late 1986 with a new, over-arcing storyline which saw the Doctor put on trial by the Time Lords (again). This time the trial was more vigorous and saw various events from the Doctor's recent (and even future) life highlighted to help him defend himself. The writing of the season was a complete disaster, with Saward's long-simmering disagreements with Nathan-Turner finally exploding and him quitting mid-season. Robert Holmes, the veteran and acclaimed Who writer who had started working on the show again recently, then tragically passed away with his scripts incomplete, leaving the rest of the team to hastily finish them. The Trial of a Time Lord season was derided for its confusing nature and poor-quality scripts, despite a memorable guest appearance by Brian Blessed as an alien warlord who shouts a lot. Aware that cancelling the show would result in a lot of headaches, Grade decided to bring the show back but move it to a weekday slot, make the episode reduction permanent and to fire Colin Baker, who did not appear to be popular with viewers. John Nathan-Turner reportedly argued Baker's case but was overruled. Nathan-Turner also attempted to quit but was told - as a BBC employee - that he could not. Thus the Sixth Doctor's brief tenure ended with a wimper. Review ratings are only given for complete serials I have seen, which isn't very many. Those looking for an in-depth and unusual review of the entire series are directed to Adventures with the Wife in Space, in which a committed Doctor Who fan exposes his wife to the series and records her reactions. The Sixth Doctor did not have an on-screen regeneration as such. Instead he was show in the latter stages of regeneration in the first serial of Season 24. Officially, the TARDIS sustained serious damage in an attempt by the Rani to capture it, forcing the Doctor's regeneration. Spin-off media, pointing out that it seems unlikely that the human Mel would survive such stress that would trigger the Doctor's regeneration, has suggested alternate theories. A popular one is that the Doctor himself triggered his regeneration upon realising that the erratic nature of his sixth incarnation was what would eventually lead to the creation of the Valeyard, and by regenerating prematurely he was averting that future. Some further casting and recasting news has emerged for the next season of Game of Thrones. First up is an actor previously announced playing an unconfirmed role. 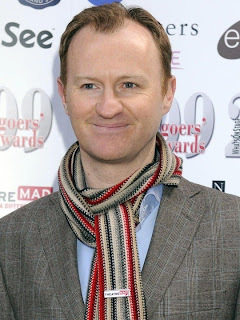 Mark Gatiss should be familiar to UK audiences, being a member of the League of Gentlemen comedy troupe and also being heavily involved in Doctor Who. He's written novels and scripts for the show (including last year's Cold War and Crimson Horror, two of the stronger episodes of the sub-par season) and appeared as a villain during the David Tennant era. He's also a co-showrunner and writer on Sherlock, where he also plays Mycroft Holmes. On Game of Thrones Gatiss will be playing the role of Tycho Nestoris, a representative of the Iron Bank of Braavos. In the novels Nestoris does not debut until A Dance with Dragons, which indicates that his storyline may be brought forwards, with some theorising that he may appear in King's Landing before heading to the Wall to negotiate with the Night's Watch as in the books. Casting this role with a relatively high-profile actor hints that Nestoris may have a bigger role in the TV series going forwards. 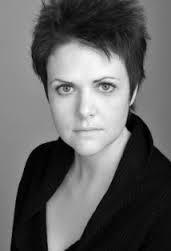 Elizabeth Webster is a young British actress who has mostly worked on stage. Her screen work includes the movie Cockneys vs. Zombies. Webster will be playing the role of Walda Frey, one of the numerous daughters of Lord Walder Frey (David Bradley). In the last two episodes of Season 3, it was revealed that she had married to Lord Roose Bolton. Lou Corfield is a more familiar face from British soap operas. She has played the role of Dr. Freya Wilson on Doctors for the past two years. She has also had recurring roles on EastEnders and Rev. 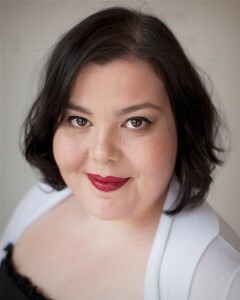 Corfield will be playing the role of the madame of the Mole's Town brothel. Mole's Town is a small village close to Castle Black, so-named because much of the village is located underground. 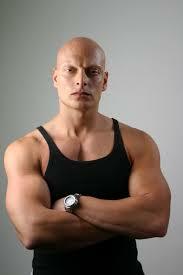 Playing an as-yet undisclosed role is the distinctive British actor Joseph Gatt. Gatt recently played a bridge officer on the Enterprise in Star Trek - Into Darkness and a frost giant in the movie Thor. Gatt's role has not been formally confirmed, but it has been heavily rumoured that he will be playing Styr, the Magnar of Thenn. Thenn is one of the northern-most wildling kingdoms, located many hundreds of miles to the north of even the Wall. Thenn was apparently overrun and destroyed by the forces of the enigmatic White Walkers, forcing its people to flee south and ally with Mance Rayder's army. 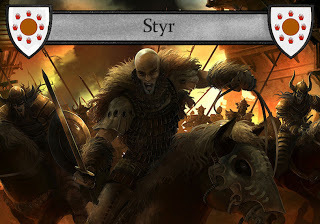 Styr is a ruthless and cunning warrior. He has a son, Sigorn, to whom he is teaching the art of rulership. 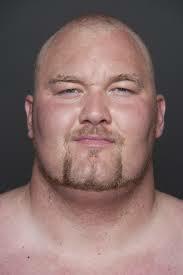 Hafþór 'Thor' Björnsson is an Icelandic strongman, winner of the 'Strongest Man in Iceland' award for the past several years and who placed third in the 2012 'Strongest Man in the World' competition. He is 6'9" tall. Thor will be playing the role of Ser Gregor Clegane, the Mountain. This role was previously played by Conan Stevens in Season 1 and Ian Whyte in Season 2, with the character sitting out the third season. 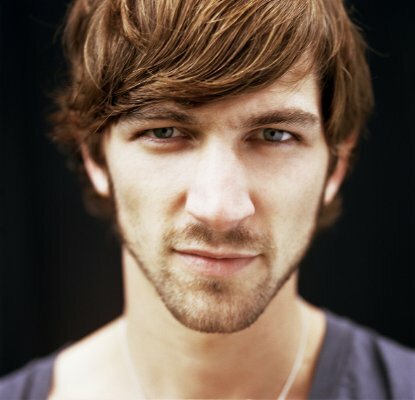 Dutch actor Michiel Huisman is best-known for recurring roles on Treme and Nashville, as well as having a role on this year's World War Z (in which former Thrones actor Elyes Gabel also appeared). Huisman has surprisingly been announced as replacing Ed Skrein in the role of Daario Naharis. Skrein's performance as Daario had met a 'mixed' reaction from fans, but it is more likely that Skrein's multimedia career (as well as an actor, he's also a writer and musician) left him unavailable for the role this year. Dean-Charles Chapman is a young British actor who recently had his big break appearing in four episodes of The White Queen as Richard Grey. Before that he played the doomed role of Martyn Lannister on, erm, Game of Thrones. 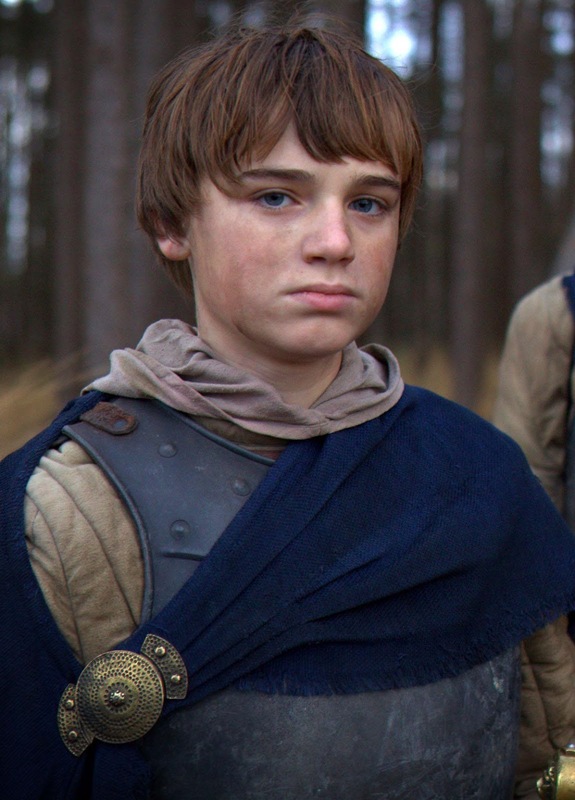 Confusingly, Chapman has been re-recruited to play the role of Tommen Lannister, replacing Callum Wharry who played the role in the first two seasons (most noticeably in the episode Blackwater). This recasting has proven controversial, with Chapman being significantly older than Wharry. Wharry had also appeared to be quite popular in the minor role. Whilst Tommen indeed has a larger role in the books from this point going forwards, it's still a very minor role with relatively limited dialogue. This may hint that the HBO version of the character will have a larger role than his book equivalent. It has also been confirmed that Burn Gorman will be returning in his role as Karl, one of the treacherous members of the Night's Watch who rebelled at Craster's Keep. Noah Taylor will also be returning as Locke, the Bolton soldier who earned the enmity of Jaime and Brienne last season. David Bradley has also indicated he will be returning as Walder Frey in Season 4. Also returning after longer absences are Dominic Carter as Janos Slynt and Owen Teale as Ser Alliser Thorne. Peter Davison (1951- ) played the Fifth Doctor in 69 episodes and 20 serials, airing over three seasons. He had six companions. At 29 he was the youngest actor to be cast as the Doctor, a record he held until the 27-year-old Matt Smith was cast in 2010. He is the only Doctor (so far) from the classic era to reappear in the modern outside of images or flashbacks, appearing in the mini-episode Time Crash in 2007. Davison's daughter, Georgia Moffett, is married to David Tennant, who played the Tenth Doctor. 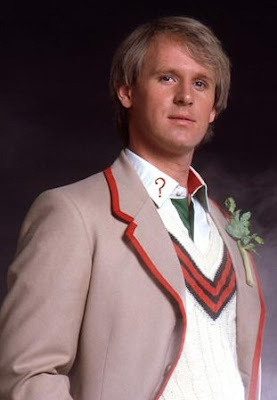 The Fifth Doctor's era was one of reinvention for Doctor Who. The casting of the 29-year-old Peter Davison as the Doctor and the presence of three young companions meant that the show had a younger, fresher atmosphere going on. There had also been a decision to drop the longer, six-episode serials to keep stories shorter, more focused and tighter. Christopher Bidmead departed as script editor and, after a brief filling-in by Anthony Root, he was ultimately replaced by Eric Saward. Saward was more interested in drama and making the show scary again, leading to some comparisons with Robert Holmes (right down to, once again, receiving criticism of the show for being too violent). The new, more advanced-looking Cybermen. Davison's first season was focused mostly on new threats and menaces, though with a hint of experimentation. Black Orchid was a pure historical, that is a serial lacking any SF elements at all apart from the Doctor and his companions. This was the first such serial since The Highlanders fifteen years earlier and the last to date. More notable was Earthshock. John Nathan-Turner had decided to resurrect the Cybermen, who hadn't been seen since Revenge of the Cybermen seven years earlier (which in turn had been their sole appearance on the show since The Invasion in 1968). 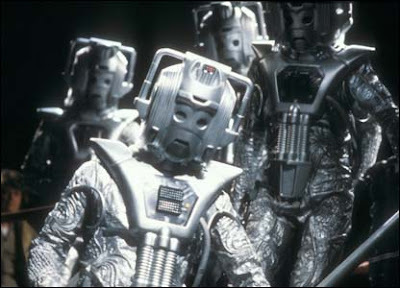 A new, sleeker and more advanced-looking Cyberman costume (by the standards of 1982) was introduced and Earthshock was written as more of an action story, featuring scenes of combat between the Cybermen and human marines. The story also made history when, at its conclusion, it killed off Adric (played by Matthew Waterhouse). Adric had not been popular with the fans and Nathan-Turner decided that killing him off would restore some dramatic tension to the show. 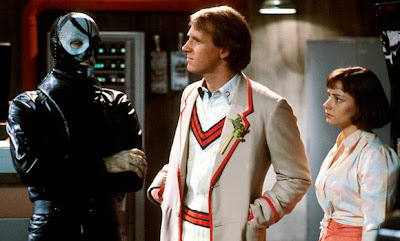 The twentieth season in 1983 saw the return of several old enemies: Omega returned in Arc of Infinity, which also featured a return to Gallifrey (and, intriguingly, the casting of Colin Baker as a Time Lord security guard), whilst the Black and White Guardians and a now-retired Brigadier Lethbridge-Stewart reappeared in Mawdryn Undead. This serial also introduced a new companion, the enigmatic Vislor Turlough. Turlough was introduced as an antagonist, an agent of the Black Guardian's placed on the TARDIS to spy on the Doctor and eventually to kill him. Two serials later he instead helped the Doctor defeat the Black Guardian. The Master returned in The King's Demons which also introduced a recurring android character, Kamelion. Originally planned to be an active companion, difficulties with the Kamelion prop led him to being put in storage and only making one more major appearance on the series. 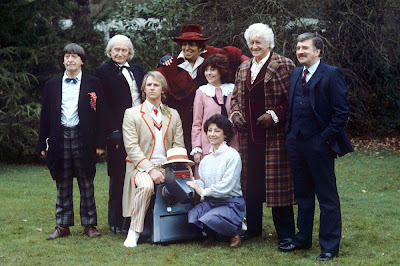 Publicity shot for The Five Doctors, including a waxwork dummy of Tom Baker! For the twentieth anniversary itself, Nathan-Turner and the BBC decided to make a 90-minute special event episode. This episode would air separately to the rest of the season, as close to the actual anniversary itself. Veteran Who writer Robert Holmes initially worked on a script concept called The Six Doctors but eventually could not deliver the script in time. Terrance Dicks submitted a story called The Five Doctors featuring all of the previous Doctors and assorted companions. The sad death of William Hartnell meant that the First Doctor had to be recast, with Richard Hurndall stepping in. Tom Baker then declined to appear, believing it was too soon after his own departure from the programme. He instead appeared in clips from the abandoned 1980 serial Shada. Despite it's everything-and-the-kitchen-sink approach (with Cybermen, a Dalek, the Master, various Time Lords, five Doctors and eight companions appearing), The Five Doctors turned out to be a popular, fun romp. Working on the advice of Patrick Troughton, who had theorised that three years was the optimum time to stay on the show, Peter Davison decided to leave the show at the end of the twenty-first season. John Nathan-Turner decided to break with tradition and have Davison leave in the penultimate serial of the season so the new Doctor could have a full serial to 'bed in' before the break. Davison's final season featured the return of the Silurians and Sea Deviles in Warriors of the Deep (a Cold War-riffing action story that was not very popular) and the return of the Daleks and Davros in Resurrection of the Daleks. This was a much more popular serial, commenting as it did on the violence of the show. Companion Tegan left the TARDIS at the end of the serial, sick of the death and destruction that seemed to follow the Doctor around. Turlough followed in the following serial, which also introduced the new companion of Peri Brown, played by Nicola Bryant. Nathan-Turner decided to make the new companion American to appeal more to the US audience, although Bryant was British. The Caves of Androzani has been voted the best Doctor Who story of all time by several fan polls. Davison went out on a high. The Caves of Androzani, written by a returning Robert Holmes, is still-rated as one of the finest Doctor Who serials ever, and arguably the last stone-cold classic the show has produced to date. Davison gives a tremendous performance and the direction from Graeme Harper is unusually accomplished for the show (Harper would later become the only director to work on both the classic and revived series). Christopher Gable also gives a tremendously intense and threatening performance as Sharaz Jek, the 'villain' (albeit a tragic one) of the serial. At the end of the serial the Doctor regenerates, but almost dies. Only images of his companions - featuring specially-recorded new clips of Adric, Nyssa, Tegan, Turlough and Kamelion - keeps him going. When the Sixth Doctor gets up and a confused Peri asks what has happened, he replies, "Change, my dear, and it seems not a moment too soon." The Fifth Doctor regenerated at the end of The Caves of Androzani, having been poisoned with spectrox toxemia. He was able to secure some antidote, but only enough to save his companion Peri.